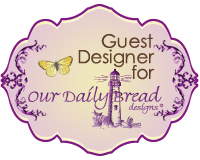 Welcome to the ODBD Blog, we are back this week with some new projects from Kari, our April Guest Designer. 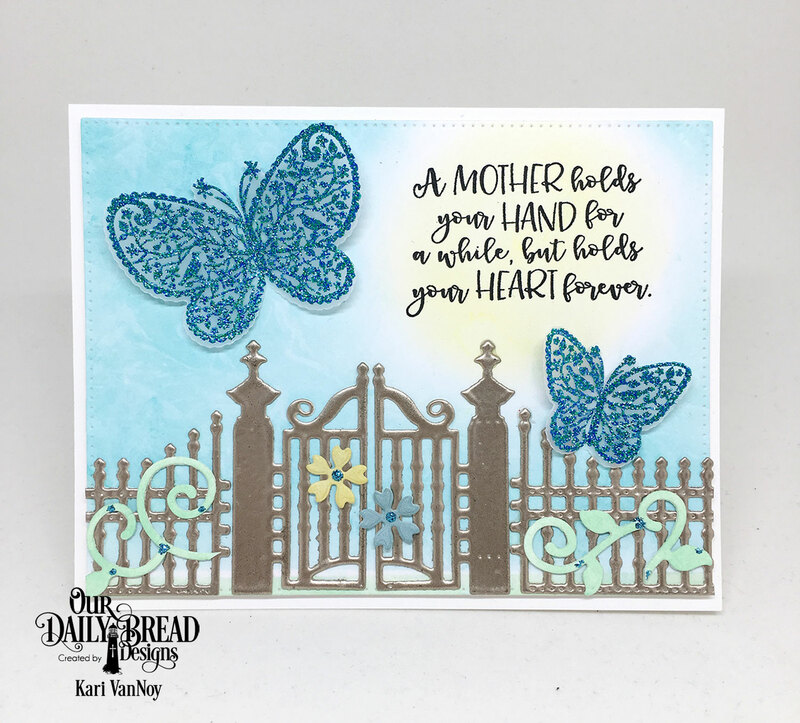 Kari's projects showcase products from our April Release along with additional ODBD products, links to the products she used can be found under her projects. Before I share Kari's projects for this week, I wanted to remind you that our FREE SHIPPING special on US orders ends today! 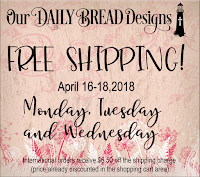 International Customers will receive $6.50 off shipping (shipping is already discounted in the shopping cart). 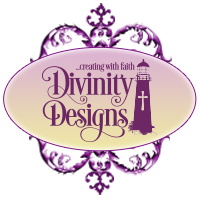 Click HERE to shop our website! 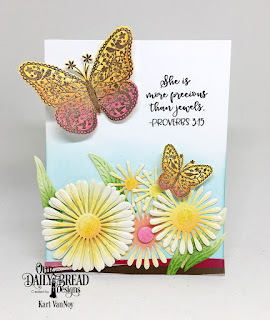 This week, Kari is sharing three projects showing the versatility of The Greatest Gift Stamp/Die Duo set. Kari stamped and embossed the butterflies on vellum to add a little softness to the butterflies. 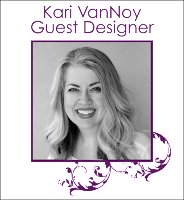 Thanks for visiting with Kari this week! 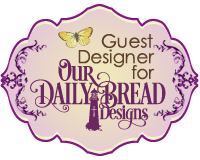 For more inspiration visit our Samples Gallery, "like us" on Facebook and follow us on Pinterest and Instagram! Beautiful creations, once again!!! Great job!